Leonard Bernstein is spoiling Bangor Symphony Orchestra fans. 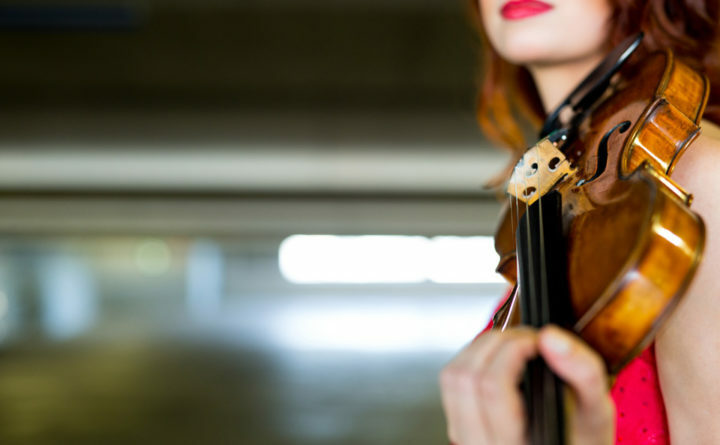 Violin soloist Chloe Trevor and a full percussion section on Sunday treated concertgoers to the American composer’s 1954 “Serenade.” She performed with a fiery spirit that delighted the audience at the Collins Center for the Arts. The symphony has programed several of Bernstein’s works this season in honor of the composer’s 100th birthday. Last month’s program began with a short section of Bernstein’s “Mass,” and ended with piano soloist Alon Goldstein playing a selection from Leonard Bernstein’s second symphony “The Age of Anxiety” as an encore. “Serenade” was inspired by Plato’s “Symposium,” a dialogue in praise of love. In a program note for “Serenade,” Bernstein wrote that the music, like the dialogue, was to be heard as a series of related statements in praise of love. “The relatedness of the movements does not depend on common thematic material but rather on a system whereby each movement evolves out of elements in the preceding one,” the composer wrote. Bernstein’s composition calls not only for solo violin and orchestra but also for a harp, timpani, a snare drum, a tenor drum, a bass drum, a triangle, suspended cymbal, xylophone, glockenspiel, chimes, Chinese blocks and tamborine. The percussion section, in large part, is what gives “Serenade” the feel of an after-dinner conversation Bernstein said he was striving to convey. 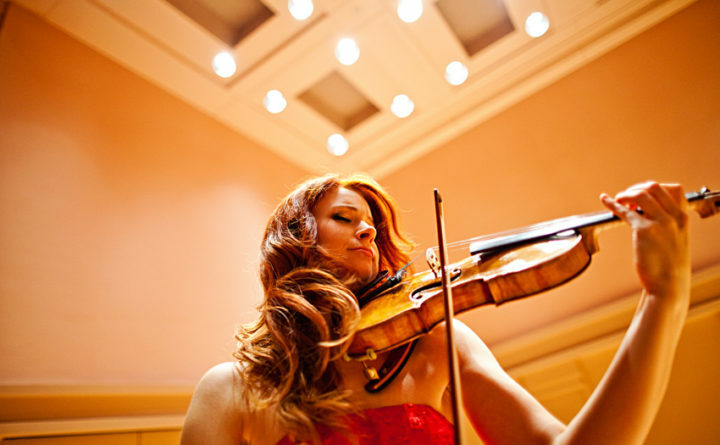 Trevor, the 31-year-old daughter of a violinist and conductor, enchanted Sunday’s audience with her deeply moving interpretation of “Serenade.” Her appearance also drew more than the usual number of aspiring violin soloists to her performance. One little girl, dressed in her “Nutcracker” finest, after the concert approached Trevor to tell her about the piece the girl will play at her next recital — “Twinkle, Twinkle Little Star” — and a title that could only be whispered in Trevor’s ear. The girl’s mother couldn’t know or the surprise would be spoiled. Trevor, who devotes time during her travels to mentoring young musicians, appeared to approve of the girl’s choice. Conductor Lucas Richman began the concert with the overture to Beethoven’s “Prometheus,” his only ballet, and ended it with his Symphony No. 4. All in all, it was an afternoon of finely performed, happy music the audience enthusiastically embraced.